Rarely do we consider the dull cost of war. Sure you can easily find casualty tallies for the Somme on Wikipedia or the exact amount World War II cost Britain down to the nearest penny but war is not just measured in blood and gold. War is measured in bread, in water, in bullets and in medicine. It is measured in the immeasurable. How many people can you kill or watch die before you succumb to depression or mental trauma? How heavily does denying someone shelter weigh on you? Will you fight or run? This War of Mine asks all of these questions but it does not seek answers. Instead it serves to illustrate the day-to-day nightmare of civilian life in wartime. Heavily inspired by the Siege of Sarajevo during the Bosnian War This War of Mine puts you in control of a house with several civilians – sometimes as few as one, sometimes as many as four – and challenges you to survive through the winter. In that time you must feed and arm your characters while fortifying the rickety house that serves as your shelter. Daytime is too dangerous to scavenge due to the snipers so characters must venture out at night risking injury and death at the hands of bandits, rebels and the army. The encroaching winter brings the risk of illness and the harsh nature of survival can lead to depression and trauma. It’s a tough, unfair game but then, so is war. Like a lot of survival themed games This War of Mine has you count the cost. Not just of the dead but of everything. Can everyone be fed with the three tins of canned vegetables? Should we send our strongest out to forage or have them stay to defend the house in case of raiders? Should the money found the night before be used to buy water filters or a handgun? Each of these questions can mean life or death not just for one person but for the whole group. Starvation, disease and suicide were far more common killers in all of my playthroughs rather than home invasions or fatal foraging attempts. This War of Mine speaks to what war is for civilians. Combat is rare and the drudgery and busywork of survival is commonplace. It will turn off a lot of people looking for a combat oriented game but played from a different perspective but that’s a good thing. Developer 11 bit studios seems to have wanted to avoid the political, ethnic and religious divides that so dominated the Bosnian war. The civilians we play as are just that: civilians. They are not ethno-nationalists or deserting soldiers. They’re survivors. The influences may be clear but This War of Mine sidesteps any direct political comparison by leaving it’s featured city nameless and nationless and making all its characters decent, innocent people. There’s an interesting, if controversial, alternate version of This War of Mine that has you maintain good relations between people of mixed backgrounds in the house. Even a quarter century after one of the 20th Century’s longest and bloodiest sieges it still seems a bit too soon for that kind of game. This War of Mine is unique among war-themed games not just because it’s mostly devoid of combat but because it allows players to create their own over-arching stories. A great deal of war games – including those previously featured in this column like Spec Ops: The Line or Battlefield 1 – have singular, quite linear stories. This War of Mine allows you to play through a select number of developer created scenarios but it gives you access to a scenario editor as well. This editor allows players to create their own stories with the game’s 12 characters. This kind of roleplay is admittedly pretty basic but it hints at a future that could change the face of war-themed games. Now I don’t think Call of Duty or Battlefield are just going to die off. They’ll still be the most popular shooters in the world but I think This War of Mine opens up a new way of exploring the history of war and conflict. This War of Mine is fictional but it’s premise shows great promise. The daily mechanics of survival is something every wartime civilian goes through. So why not tell true stories of survival through the lens of games like This War of Mine? Better yet expand this new look at warfare by telling it through the frame of a first person horror game like Outlast or Amnesia: The Dark Descent. The potential, especially with VR and AR, is enormous but is it the right thing to do? 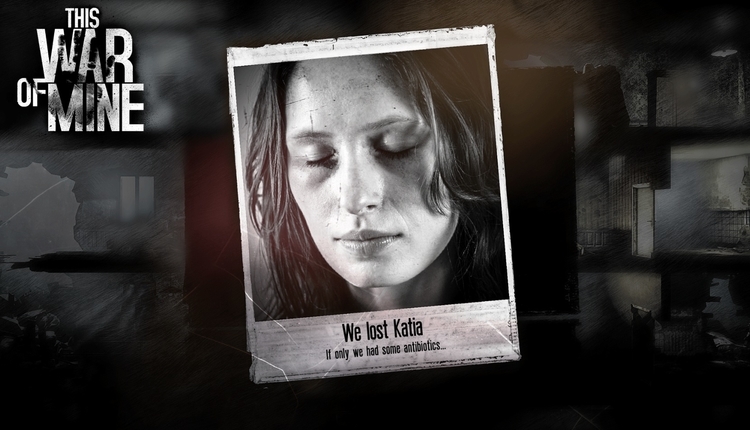 One of the somber, minimalist death screens in This War of Mine. Source. The stories we glean from wartime survivors are incredibly important. Just look at the eight hour Holocaust documentary Shoah or Svetlana Alexievich’s lyrical, brutal oral history The Unwomanly Face of War. But the stories we glean from those that don’t survive are just as important. 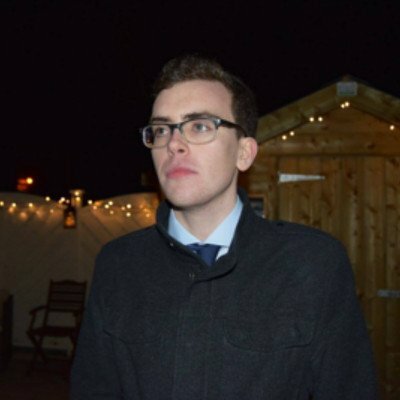 The Diary of Anne Frank is the best and most obvious example and a necessary document that shows how easily it is for men to become monsters. Which is why it is so, so important that we are careful what stories we tell in fictionalised formats and that includes games. Is it necessary to have players sneak through the Warsaw Ghetto? Do we need an RPG set during the Second Chechen War? Can the War in Iraq ever be respectfully or even faithfully depicted considering gaming’s history within that setting? Much like This War of Mine I’m only asking questions. The answers elude me. They say history is written by the winners but our Forever War has been grinding on for as long as I can remember and if we don’t try to parse out what has happened then history has escaped us and we have failed. It so often seems that humanity is doomed to repeat its past mistakes but I think games like This War of Mine offer a light in this unique kind of darkness. To be able to not only watch and read about our history but to play it and experience it seems like a uniquely horrifying experience but one that may have become more and more necessary. Further Reading: Butchery and Bias | Call of Duty: World at War at 10.